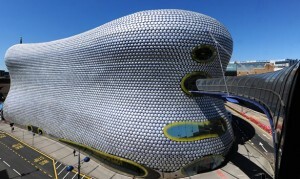 The Selfridges Building, Birmingham has dominated the city’s skyline for 12 years, and is at the centre of fashion in the city. One of Birmingham’s most distinctive landmarks, Selfridges has recently had a major overhaul as part of the £20 million Masterplan project. From installing 360⁰ unique display windows, to redeveloping the Beauty Hall and mens’ fashion floors, Selfridges in Birmingham is extraordinary like never before. The store provides a whole host of high-end brands exclusive to the city, from designer labels including Victoria Beckham’s ‘V by VB’ womenswear, to make-up artist Charlotte Tilbury’s first beauty counter outside London. The Mailbox centre’s leading retailer has just been extended; Harvey Nichols launches its new design concept store at the heart of the mall. More than double the size of the previous store, Harvey Nichols provides discerning shoppers 45,000 sq ft of luxury apparel as well as offering new designers and classic tailoring. Get the latest hair trends at the brand’s first salon outside London. Launched in the extended Harvey Nichols store, Hershesons offer up-to-the-minute hair styling in just half an hour. The perfect lunchtime treat, or a pick-me-up before a night out, customers walk in and simply choose from a menu of current looks. For those with very limited time to spare, there’s even a style that can be created in 15 minutes. The go-to brand for cool hair, Hershesons also offers a fitting service – one-to-one appointments help you shop for the perfect hair piece. A team of stylists will advise on the right piece for you, colour match, fit, and style. To ensure you look great all the time, there’s a range of products, tools, and accessories for reproducing the salon look on the move. Just off New Street, Piccadilly Arcade is famous for its hand-painted ceilings and independent specialist retailers; including Hustle & Flow, an urban fashionista hotspot, and Onyx Workshop, a high-end jewellery dealership. You’ll find experienced staff to help guide you through your purchase here. Drop into Smithsonia for some original and delightful gift ideas, or why not say it with flowers at Petals of Piccadilly? Inspired by industrial and cultural experiences of Birmingham, centred on the concepts of sharing and socialising, Gas Street Social offers large tables, intimate booth areas and a cosy ‘snug’ zone. Come the weekend, and the world’s first DJ Kitchen creates a social hub in the city centre for late night dancing. The lively atmosphere of this new bar and restaurant, now six months strong, makes it the perfect place to share delicious platters of locally-sourced foods. To be shared amongst friends, family, and colleagues; diners can enjoy a range of grazing boards, small plates, or stone-baked flatbreads. Also on the menu are craft beers, fine wines, and cocktails with friends.